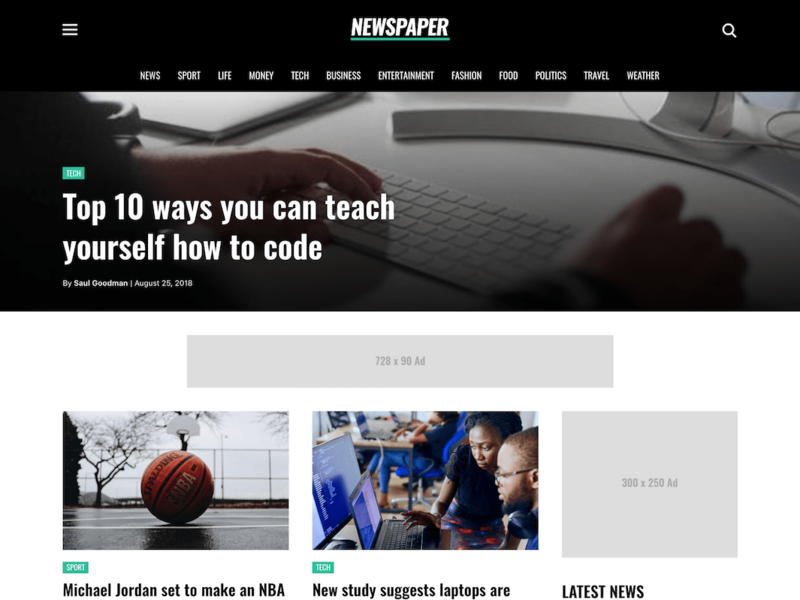 Newspaper Pro is the perfect theme for creating a monetizable newspaper, magazine or product review blog. 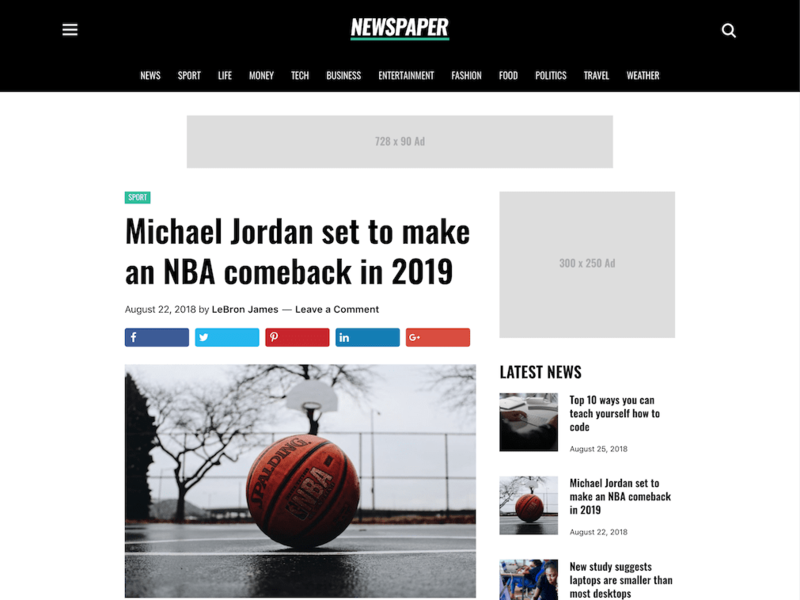 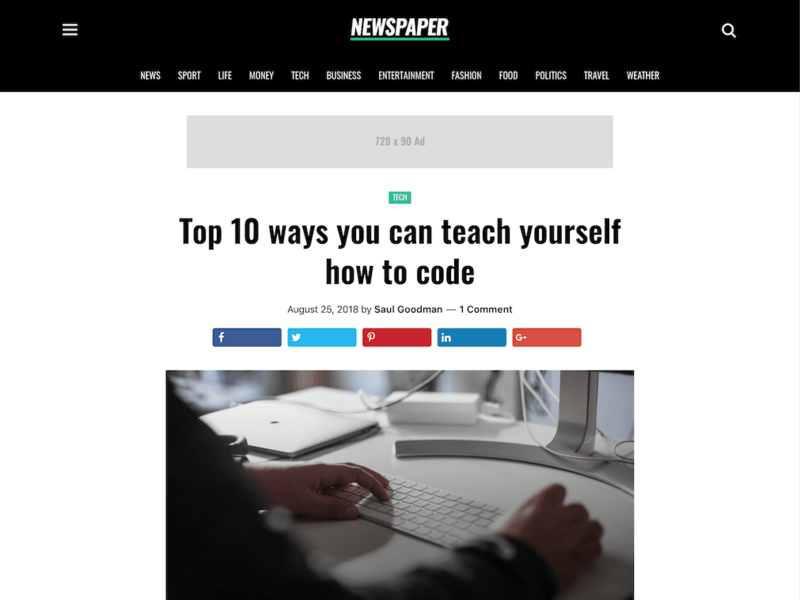 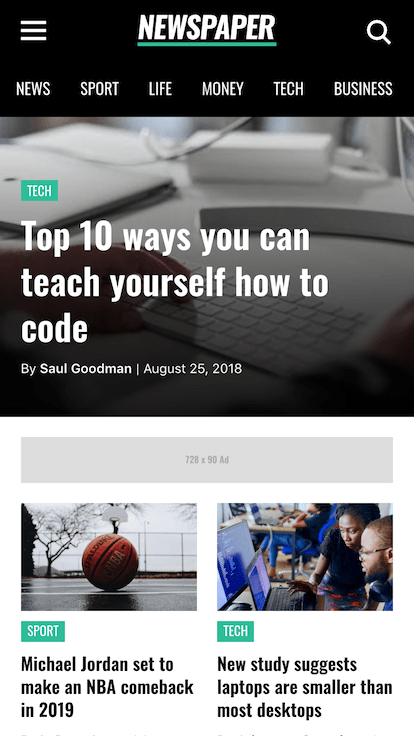 With design inspiration from the top news sites, it looks great on devices of all shapes and sizes yet provides plenty of space for display ads. 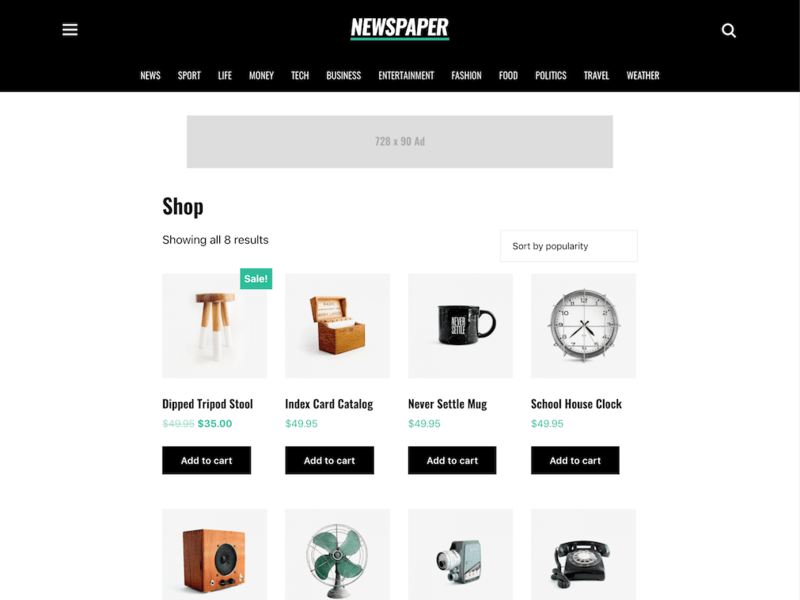 Just drop in your content and let Newspaper Pro increase your site's profits!